In Episode 347 of the Iron City Rocks Podcast we are joined by two powerhouses of the classic rock era. 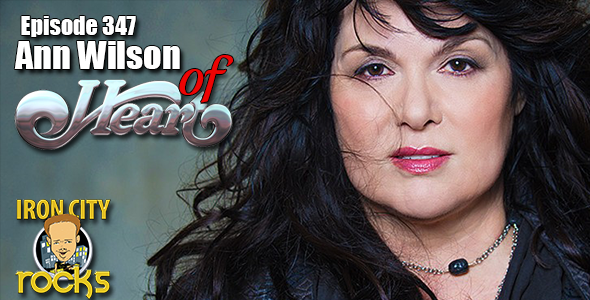 Joining us first is Ann Wilson of Heart. Ann is currently on the third leg of her 2017 solo tour. Ann talks with us about the assortment of songs that she is currently interpreting on tour, recording a solo album, keeping her voice in shape and much more. Also joining us is Foreigner bassist, vocalist and producer Jeff Pilson. Jeff has been with Foreigner for over 13 years and we talk about the band’s 40th Anniversary tour, the upcoming live CD/DVD package he is producing, the possibilities of a new studio album and Jeff also talks to us about what we can expect as far as new music and product from the classic Dokken lineup.